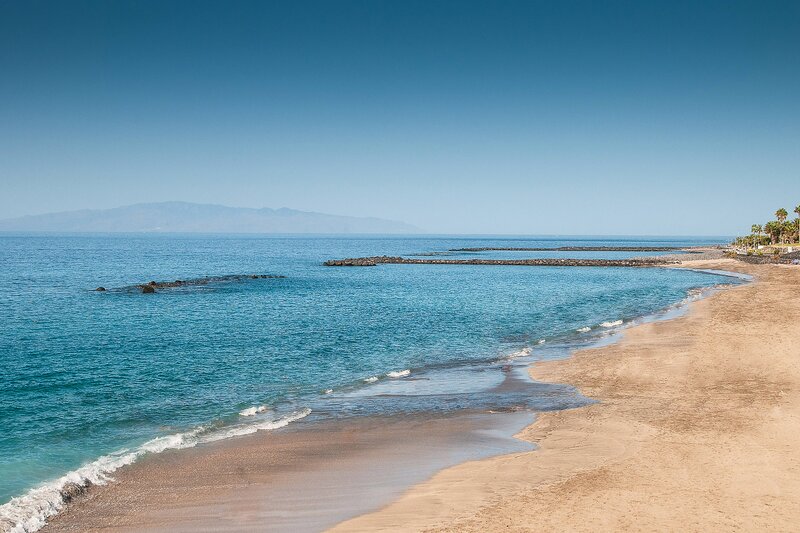 Ideally located in the south of Tenerife, Sheraton La Caleta Resort & Spa is only 1.5 km away from Golf Costa Adeje. With an average 23°C all year round and the natural beauty of the island, the resort is ideal for travelers seeking to recharge. The 284 rooms and suites feature private terraces and all that´s needed for a perfect stay. 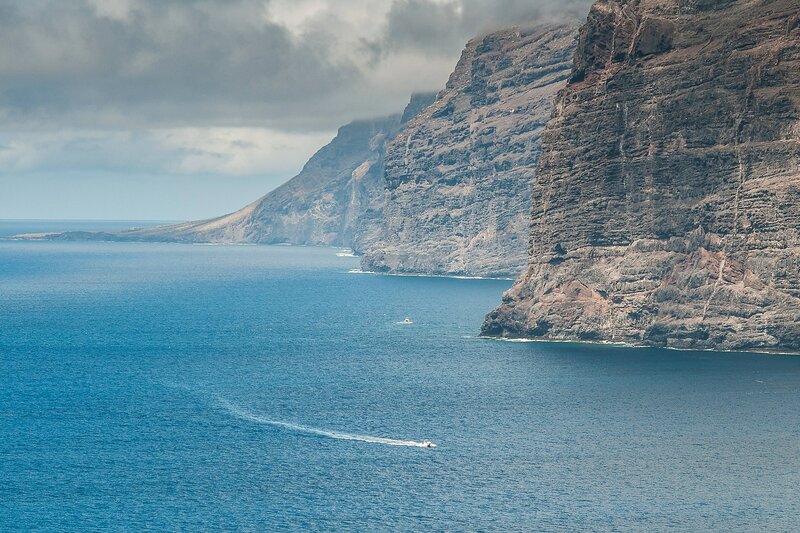 Rest assured in the Sheraton Sleep Experience Bed after discovering Tenerife. Four restaurants and two bars satisfy guests cravings. El Parador buffet restaurant offers delicious international cuisine; Japanese specialties are not to be missed at Kamakura restaurant; La Venta restaurant serves the best Spanish delights and Vivace is ideal for a light Mediterranean lunch by the pool. La Glorieta and Coral bars feature a long selection of cocktails and drinks. Spa Eutonos is an oasis of calmness, featuring sophisticated facilities to maximize body and mind wellbeing. While adults relax, children can have fun in the “Guanchito Kid’s Club” or in the “Magma Club”. 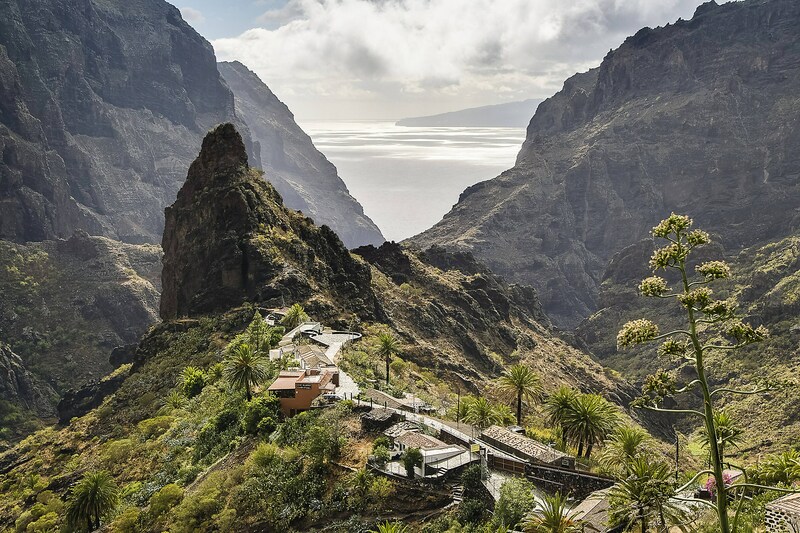 Experience the Natural Beauty of Tenerife. 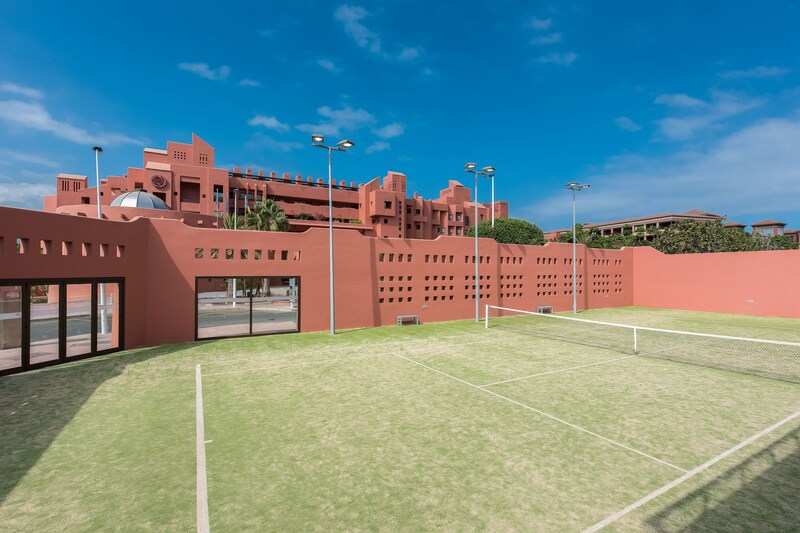 Ideally located in Costa Adeje in the South of Tenerife, Sheraton La Caleta Resort & Spa is only 1.5 km away from Golf Costa Adeje. 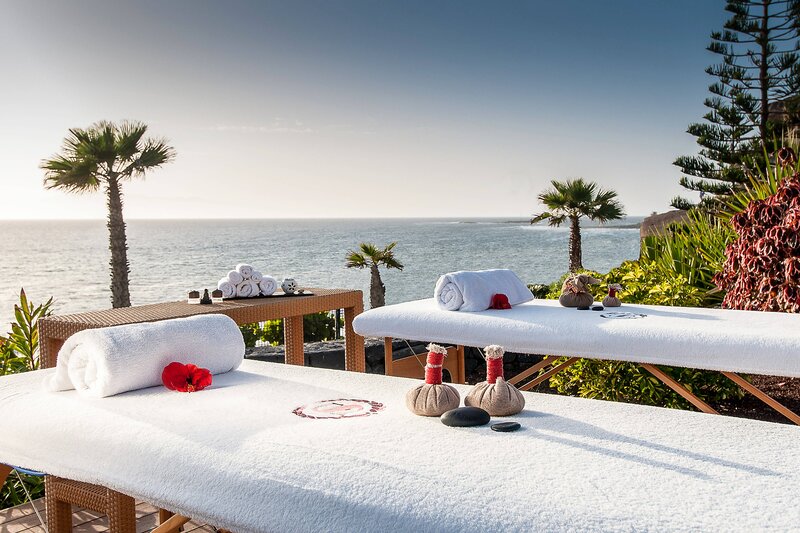 With an average 23°C all year round and the natural beauty of Tenerife, the resort is ideal for travelers seeking relaxation. The resort offers 284 rooms and 20 suites featuring private terraces with all amenities and services necessary to enjoy an uplifting experience. Ideal for a luxury holiday or a family getaway, the rooms and suites are spacious and fully equipped to suit guest&apos;s comfort with contemporary style, fresh colours and the amazing sea views. 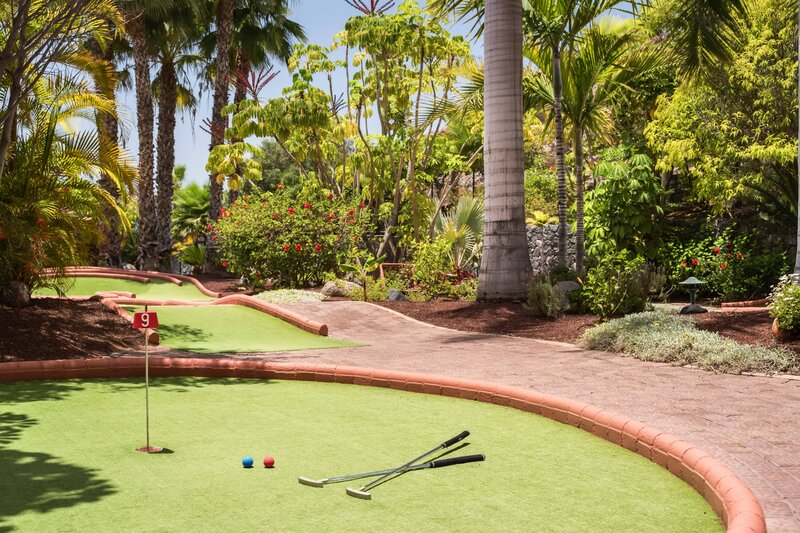 Sheraton La Caleta offers a wide range of opportunities to relax and have fun together for all the family. Spa Eutonos, 24 hours Sheraton Fitness club, El Guanchito kid&apos;s club, M@gma games room for teenagers, tennis and paddle court, minigolf and 3 swimming pools (heated, salted water and children&apos;s pool). Considered some of the best restaurants in Tenerife, resort&apos;s venues offer premium quality ingredients and a great team that will make your stay memorable.